A shuttle bus service is a public transport bus that will ‘shuttle’ passengers to and from, between two points, normally without any intermediate stops and with a high frequency of trips. Such services are often designed to serve specific customers, such as hotels, attractions, parks and ride routes or airport bus services. This form of transportation can pose many liabilities. That’s why we’re here to help our customer navigate and determine these risks and provide the appropriate coverage where needed. ITR can help you obtain an insurance plan that fits your needs. 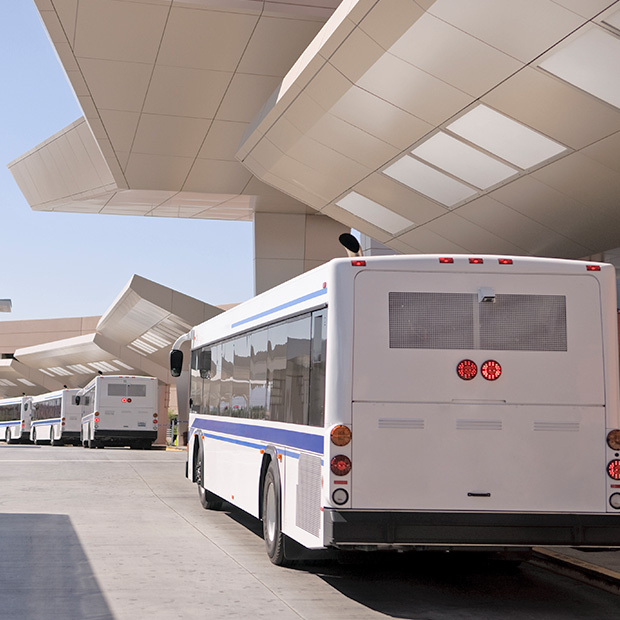 Running a shuttle service means you need to keep a close eye on your day-to-day operations. You need a trusted partner to handle your insurance needs so you can focus on what’s important, getting your passengers to their locations on time. No matter the size or function of your fleet, ITR can make sure you get the best, most comprehensive insurance that fits your business. Do you have coverage already, but are not sure if you are fully protected? Or, are you unsure the coverage you have is what you truly need? Let us help by providing you with a quick comprehensive quote. We will work with you by listening to understand your business and help you minimize risk. Our experienced team of experts are ready to help, whatever your need may be!